Harding Construction / Coresteel South Canterbury has helped make one small boy’s dreams come true this month. Cameron Hunter was selected to participate in the annual Koru Care trip to Disneyland for children with special needs. Cameron suffers from cerebral palsy and has a special mobility tricycle to help him get around. “Koru Care will take Cameron to Disneyland with a group of 23 other special needs children,” explains Heather Harding, Coresteel South Canterbury. Click here to see the video of Cameron receiving his suitcase. His mother's reaction was priceless, too! Harding Construction is pleased to sponsor the Canterbury Special Children's Christmas Party again this year. The SKY TV Special Children’s Christmas Parties in association with Manuka Doctor are the biggest events of their kind in New Zealand for special needs children and their families. Organisers work closely with hundreds of charities, schools, community groups and government organisations throughout New Zealand to select these special children and invite them to the party. The children suffer from one of a number of life-affecting challenges, including life threatening illness, physical and intellectual impairment, domestic violence, or living in underprivileged circumstances. The Goal is simple: to put smiles on these children’s faces for at least one day in the year. At every event across New Zealand these children are treated to a day of celebrity stage shows, fun rides, interactive games, plenty of yummy food, face painting and many more fun activities. The highlight of the day is when the children enter Santa’s Toy Cave where they are given 2-3 high quality toys to call their own. "We are delighted to be part of this fantastic event again," says Heather Harding of Harding Construction." This will be the third time we have helped sponsor the Canterbury event. We enjoy taking a team from our staff to help out on the day. It's great to be able to be involved practically as well as financially." Visit www.sccpnz.co.nz to find out how your business can be involved. Jessica Coleman (Coresteel South Canterbury Innovation Award Winner) and Heather Harding (Coresteel South Canterbury). Operating under our Coresteel umbrella, we recently had the privilege of taking six Graphics and Design students from Craighead Diocesan school on the inaugural Coresteel Innovation Tour. 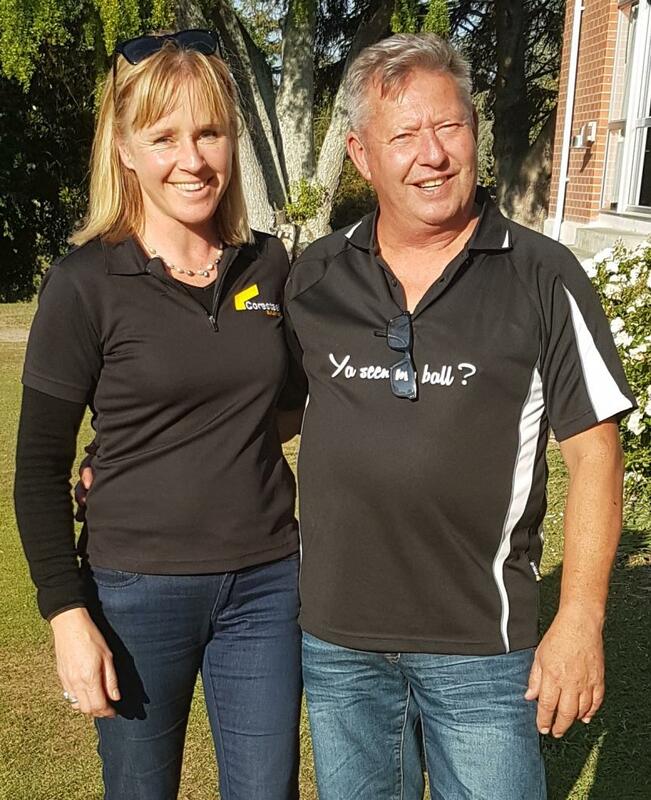 "As part of our association with Coresteel Buildings, we are pleased to offer the Coresteel Innovation Award to local secondary school students" says Heather Harding, Marketing Manager for Coresteel South Canterbury. 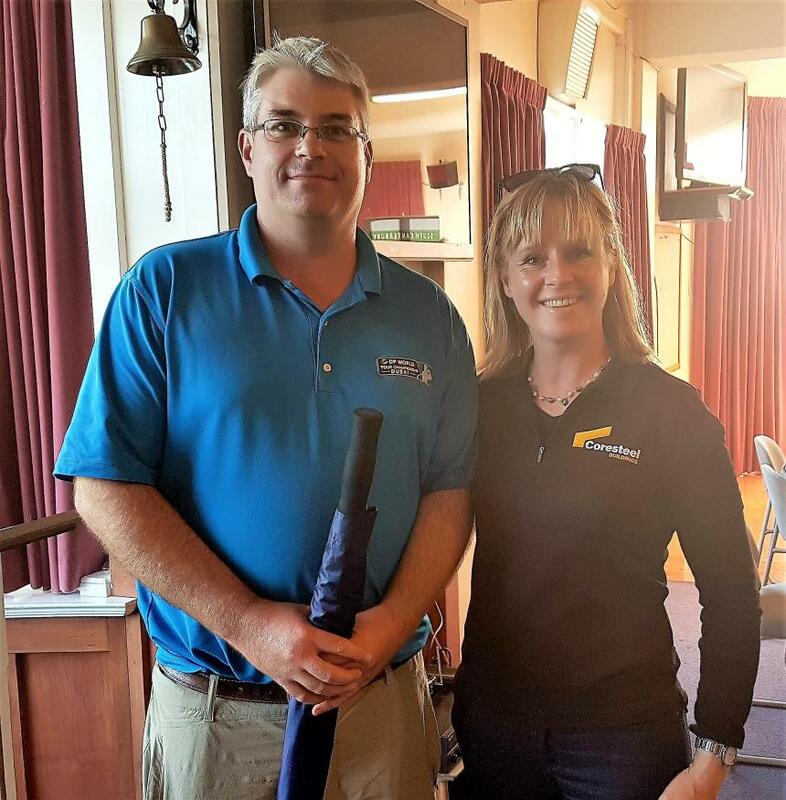 Wanting to do more than just present an award, the team from Coresteel South Canterbury decided to offer an "Innovation Tour" of different local businesses that utilise innovative approaches to enhance their service offering. "We wanted the students to understand that innovation is about far more than just technology - it's a way of thinking," says Harding. "These businesses value innovative problem solving approaches. One common thread in all the presentations was that 'failure' is nothing to fear - it's actually a necessary part of the refinement process when developing ideas." Feedback about the tour had been overwhelmingly positive with students, teachers and businesses all in favour of including more schools in the future. "We have always intended that the award would be open to the wider school community, but first wanted to test it out on just one school" says Harding. "Our thanks must go to the staff from Craighead for all their help and support refining the award and tour process." The award winner will be announced in Term 4. Paul Jackson of Davis Ogilvie hit an impressive 184.5m drive to win the Longest Drive prize. Grant Gilbert of Aorangi Customs and Freight won the business card draw and received a stylish Coresteel Compendium for his prize. Harding Construction provided business mentoring for the "Upbeat Wines" 2016 Young Enterprise team from Timaru Boys High School. The team investigated several product and marketing ideas before deciding to manufacture their own stylish wine-holders. They had to research similar products, develop a design that would work with different bottles, source their materials and then manufacture their product themselves. "We started off thinking we'd make garden planter boxes from old wine barrels, but soon realised these would be costly to make and would probably have a limited market." said Sam Taylor, Marketing Manager for Upbeat Wines. "We still liked the idea of making a wooden product. The wine bottle holders appealed because we could make them ourselves from easily sourced products, and we anticipated they would appeal to a wide range of people. They are especially good as gifts." Heather Harding, of Harding Construction worked with the team for several months, helping them develop their product and marketing strategy. "I really enjoyed working with the Upbeat Wines team," says Heather. "They had some great ideas and were keen to make a success of their venture. I'm sure they'll all go on to do great things in the future." From top left to right is Hamish Murdoch and Hunter Webb and bottom left to right is Sam Taylor and Marcus Shillito. HARDING CONSTRUCTION, 143A KING STREET, TIMARU, 7910, NEW ZEALAND.